From IoT Prototype to Production: What’s next for CES2019 Innovators? Early January, CES2019 has kept its promises and once again revealed amazing innovations! All of this is so exciting! But after dreaming comes reality. Now that you have presented your prototype and created great hopes, comes your next big challenge: industrialization. One major question is now haunting you: How to go from prototype to production, how to move beyond the POC to the industrialization phase? Choices you will make for your software system are key. When you presented your innovative device, be it at CES or at any other occasion, you created hopes and expectations among your target consumers. Challenge now is to meet them. And meeting them while ensuring your innovation also creates value for your company can be tricky. Your innovation surely has some software and you surely wonder how to go from prototype to production, making the right technological choices, developing the right features while keeping control of your budget and time to market. You want your device to be performing, to be cool, to create value for your company and you know that the path to success is full of traps. From prototype to production, there are many risks you will need to mitigate. Market risk: will you customers like the products, technological risk, which are the best technologies to use for a performing and durable product, Project risk: what tools and methods can help you make sure you meet your deadlines and budget target, and technical risk, how to anticipate and minimize integration and development issues. If your innovative project includes software, and it surely does, our expert engineering team can help you make the right choices from prototype to production and mitigate risks all along your innovative project’s development. The first key to success in your quest from prototype to production is to make sure your innovative device will meet its market. After CES you surely collected feedback on your POC and its functionalities. Our UX engineers help you analyze customers usages and feedbacks and accompany your teams into turning them into expected features. This process allows to make sure you define the adequate specifications and enables, if you apply agile methods, to define user stories and structure your next sprints. This new phase of your project requires to use the best project methods adapted to your needs: depending on your project’s maturity, complexity and your internal organization, Witekio’s engineering teams help you choose and adapt methodologies (Agile, Kanban, V-cycle) with one goal: your success. Choose technologies adapted to your project: technology for itself is an empty shell. Your technological choices will have to lead to a consistent software system that will bring added value to the user. At Witekio we go far beyond just assembling technologies. We build your device’s software architecture and we adapt and optimize each layer of software according to your project's needs. If you are just out of the POC phase, you probably identified some key technical issues that you need to tackle before industrialization and go to market. Our engineers are software experts. They can help your team meet any technical challenge: reducing boot time, optimizing memory footprint, redeveloping drivers, solving critical integration problems. Our fifteen years of experience in specialized fields, such as medical, automotive, and industry, have forged our expertise and standards. Moving from POC to industrialization, from prototype to production, requires that your software system is stable and scalable. User requirements are constantly growing, and as connected devices makers, you have to keep adapting to these trends. This implies an optimized software architecture, to ensure the product is stable, scalable and performing. We can provide an expert answer to each question you have before going from prototype to production. Our engineers master the development of OTA update solutions (Firmware, OS, App), and they know how to reduce boot time from 20 to 2 seconds. Our teams can work on your software code to reduce its hardware footprint and can ensure an autonomy of several months/years for an IoT or embedded battery-powered system. We know the importance of replication in industrialization. Our experience with various customers in different markets helped us build a strong expertise in the platforming of software solutions in a 360° approach. Our expertise extends from the functional project management to system software architecture and technical expertise. Tell us about the stage of your IoT project and the challenges you’re facing, we’ll accompany you through all your software development, until your product is industrialized. Witekio’s intelligence and expertise was represented through several innovations presented at CES 2019, that are now in the transition from prototype to production. Who has never been annoyed not to find a letter or character on their keyboard? Who has never wanted to have a quick single-click access to specific files or software? 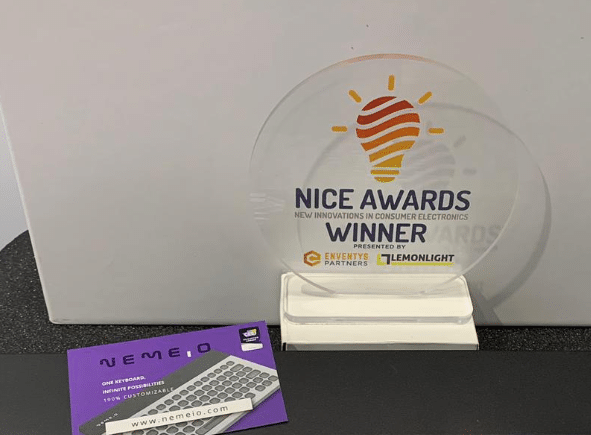 With Nemeio, keyboard users can modify keys configuration as much as they want: Qwerty, Bépo, Azerty, in French, English, Spanish… with shortcut keys to various software such as Photoshop, Paint, or Microsoft office suite. Each person is free to customize it thanks to a dedicated app. Ibubble the first underwater drone by Nautilo plus. We usually hear about airborne drones, but Nautilo plus, a French start-up had another idea in mind: the first underwater drone. They created the first entirely autonomous underwater drone which follows the diver whilst filming the marine environment. A major feature of this new generation of underwater drone is that it is environmentally friendly, as the drone is silent, has emission levels so low it poses no threat to marine mammals and uses sonar to avoid hitting and damaging coral or reefs. The drone communicates with the diver’s bracelet using ultrasound technology, allowing the drone to follow the diver whilst capturing the session thanks to an embedded GoPro. 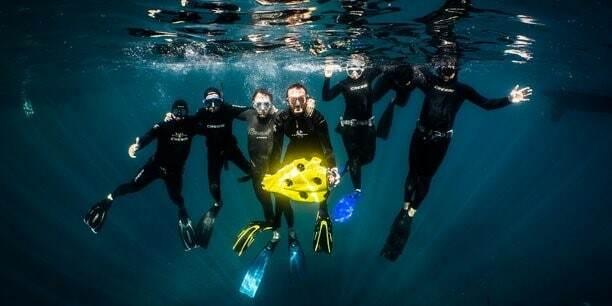 IBubble can be used by divers wanting to bring back memories (videos, pictures) from their diving sessions but also by professionals, in observations and studies of undersea wildlife. For this breakthrough innovation Witekio engineers provided technical consultancy approach, combined with cutting-edge system design and development expertise. Starting by working with the customer to understand the software challenges they are facing, making recommendations to the software system architecture, Witekio also provided dedicated software support and work flow management optimization. All this allowed Notilo Plus to speed up the go to market of this new underwater drone, and drive a faster transition from prototype to production. We accompany our customers all the way from the Prototype to production and industrialization. At Witekio we are software copilots and accompany our customers all along their innovative projects on the software side, from the hardware to the Cloud, from the POC phase to industrialization. We master UX design, software architecture and development, and all the different stages of an embedded and connected device project, and also OTA update, software factory. 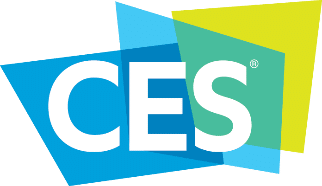 CES, it’s more than 4,500 exhibiting companies, including manufacturers, developers and suppliers of technology hardware, content, technology delivery systems etc. It’s a conference program with more than 250 conference sessions and more than 180K attendees from 150 countries. And these companies, whether they are multinational corporations or tiny five-persons start-ups, all have one thing in common: they want you to know about their new hardware, software and devices.